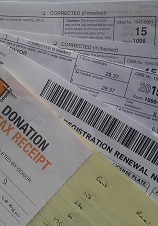 If you are a new client, please bring in your previous year's return, and the bill showing what you paid. our bill will be 75% of that bill assuming it is a similar return. If it is not, we will charge you 75% of our fee as calculated below. Self employed person, you receive form 1099 miscellaneous. Sometimes, your employer gives you both a W2 and 1099. 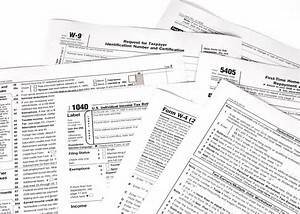 Form 1099 forces a Schedule C upon which you pay self employment tax, that is double social security and medicare as well as income tax. In addition, you should file Form 1040. If you are really self employed with your own business, we would examine all reasonable deductible expenses, including a home office and mileage in order to minimize your tax obligation. Our charge for this would be in the $300-350 range. Where the 1099 miscellaneous does not attract expenses, our bill would be $130. Certain employees with just one W2 will, in 2016 at least, always itemize due to state tax deduction. For these we charge $250. If the taxpayer also has stock market transactions we would charge an additional $50-$75 and $25 per K1. LLC, as shown below, can elect to file as partnership, Corporation, sole proprietor or as diregarded entity. An LLC at least in California is registered with and given an entity number by the secretary of state to which it pays an annual fee. Trustee of a will, trust or estate is obliged to prepare return. If we receive a financial statement, we would prepare the return and K1s for $200.00 whether it is a simple or complex trust. Sub Chapter S Corporation is a type of 'pass through' entity, that is it does not pay tax in its own right but income flows through to the members, oner or more but less than a 100. Assuming that we receive financial statements, we would charge $300 including K1s. C Corps pay income tax on net income and may pay dividends and interest, thereby issuing 1099DIV or 1099INT. During the year, they will normally make estimated tax payments taxable on a cash basis. We charge $400 to review the financial statements and to prepare a return. There are many lines on a K1, each of which may generate an entry on the above Schedules, we do not charge for the forms generated by the K1. How does AllTaxWork give value for money? Assume that the the taxpayer has all his documents relating to this years return. We prepare the return and determine all legitimate deductions relating to that income. We review the AMT calculations especially if Net Operating Losses (NOL) are involved. If there are NOLs we determine if the state calculation is correct. The taxpayer and we sign the return, the taxpayer pays us the agreed upon fee either by cash, check or credit card, we efile the return, or prepare it for mailing which the taxpayer then mails in the envelope provided. We visit the taxpayer's home or office: we collect his tax documents, return to our office to complete return. We email him forms requiring signature which he/she emails back signed copy assuming the return is approved (all emails password protected). He/she pays by credit card, we file the return and email back PDF of return. We are prepared to deliver the complete return to your home or office. In any event we charge $50 per trip. The taxpayer emails his tax details and documents to us, all attachments should be passord protected PDFs. We resolve any questions by email or telephone: We email him forms requiring signature which he/she emails back signed copy assuming the return is approved (all emails password protected). Payment is normally by credit card.